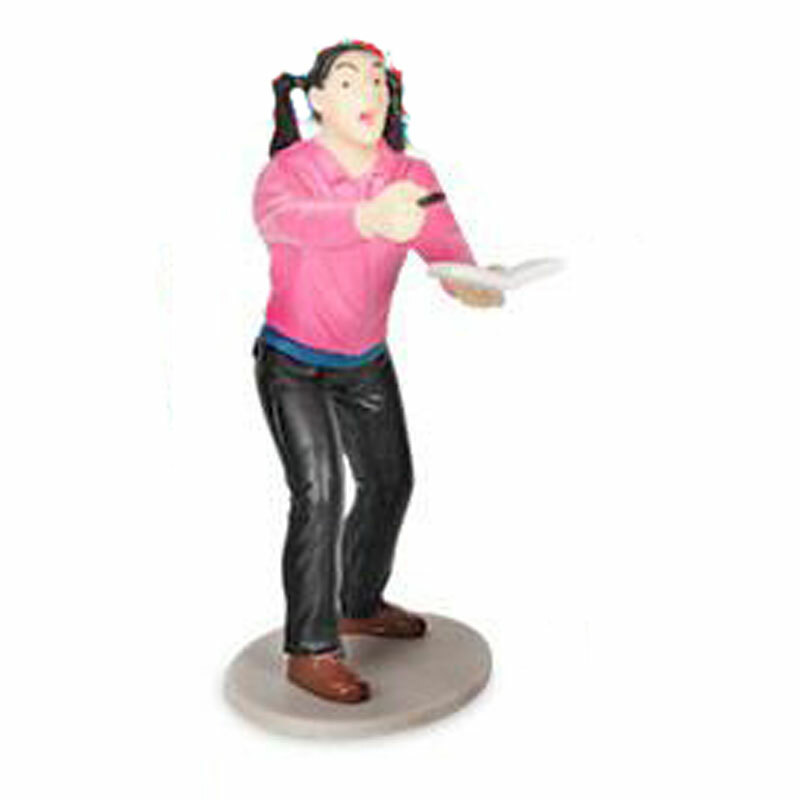 This plastic autograph seeker is just over 3 inches tall and stands on a 2 inch base. She appears to be calling out while holding an autograph book in one hand and a Sharpie pen in the other. The autograph seeker is recommended as a sandtray / sandplay figure or for more general play therapy. Freestanding.